Ben Affleck, Gal Gadot, Jason Momoa et al. DVD: 115 min., Blu-ray: 120 min., Blu-ray 3D: 120 min., 4K Blu-ray: 120 min. Fueled by his restored faith in humanity and inspired by Superman's selfless act, Bruce Wayne enlists the help of his newfound ally, Diana Prince, to face an even greater enemy. Together, Batman and Wonder Woman work quickly to find and recruit a team of meta-humans to stand against this newly awakened threat. But despite the formation of this unprecedented league of heroes - Batman, Wonder Woman, Aquaman, Cyborg and The Flash - it may already be too late to save the planet from an assault of catastrophic proportions. 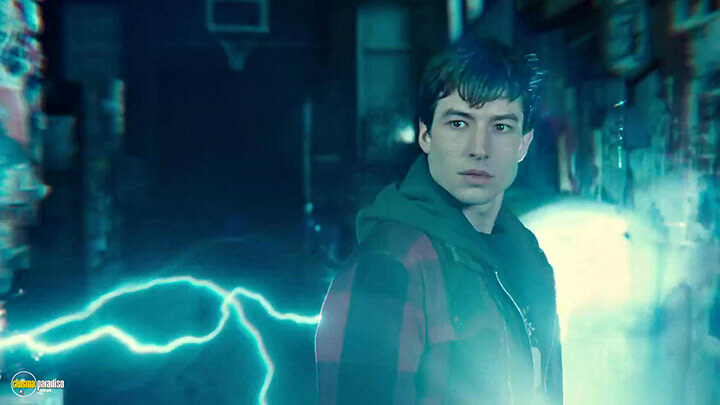 Gal Gadot dominates the screen whenever shes on it, and Ezra Miller as the young, brash Flash is, quite rightly overawed, Wonder Woman is after all, royalty. The re-birth of Superman had to happen, as it does with Comic Superheroes. 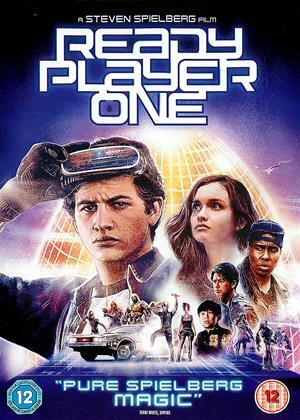 An enjoyable romp, though DC have quite a lot of work to do before they can compete with the juggernaut that is the MCU. As with the Harry Potter films. you need to see superhero films in sequence to avoid plot confusion. This one, for instance, opens with Superman dead. Given that proviso, Justice League has more gravitas than most comic book fare and Zack Snyder directs with the same flair and grandeur he brought to 300. Unfortunately the material he has to work with is the usual juvenile nonsense. Our band of heroes (Batman, Wonder Woman, Aquaman et al) have to stop animated baddie Steppenwolf finding three ‘mother boxes’ that will make the world a ‘primordial hellscape’. Not to worry… Aquaman has a pitchfork. Must have been Friday afternoon in the writers’ room when they came up with that scenario. There are too many characters to care about and the inane plot and dialogue make the film sag between bouts of cgi action. But if you fast forward through the dull bits there may be enough here to while away an hour or so, even if the fisticuffs do become repetitive. In the DVD Extras the producers threaten there are more episodes to come. I loved it, not a bad story and good fight action films. Tone done the Flash a bit you're making him to silly and stupid. Apart from that I really enjoyed it. Hope there is more. 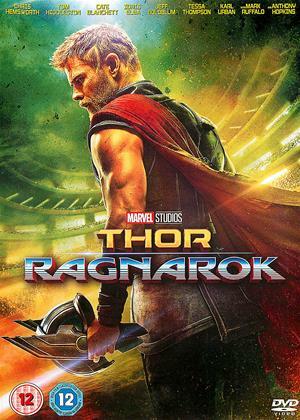 I suppose it is another super hero movie for those that can still find something interesting in the concept. The first half where the characters get together is the interesting bit; just about. After that it is one long CGI punch up. As usual, the baddy has a flock of flying warriors who don't seem capable of harming anybody and provide target practice for our heroes. Apparently if the baddy gets 3 boxes in the same place we are all doomed. I have 3 boxes and nothing happened - 3 boxes? Err, do me a favour. Aqua man? Don't tell me we are going to get a movie about this twit. He spends the entire movie jumping at the baddy and bouncing off. In fact they all do; maybe attack him at the same time? The best aspect of this film is the theme song by Leonard Cohen, sung by Sigrid. The film is like a child's comic with cardboard cutout characters and a banal plot line. The target age group appears to be 6 -10 year olds. The film would have been better as an animated production. The regeneration of superman was silly. 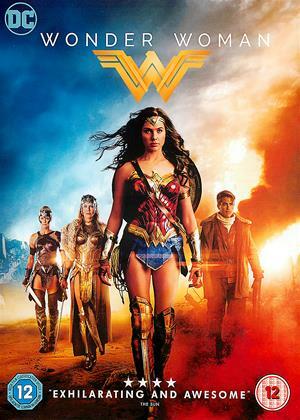 In contrast the film "Wonderwoman" was much better even if a little far fetched. I think Gal Gadot was wasted in Justice league. The batman character was thrown around in such an extreme way that any normal human body would be shredded even if encased in body armour. The real problem with Justice League is that it did not make it's mind up whether to be a pure childrens' comic book romp or a more serious film appealing to a wider age group. The film utimately showcases the more unbelievable side of CGI and as such can only appeal to uncritical children. Finally DC starts to show the first glimmer of a sense of humour and I suppose anything was better than Batman V Superman but I quite enjoyed this movie. Gal Gadot is fab as Woman Woman and Ezra Miller gives a great Flash, OK it still doesn't touch Marvel but then baby steps DC baby steps. How is Zack Synder still making DC Comics films? 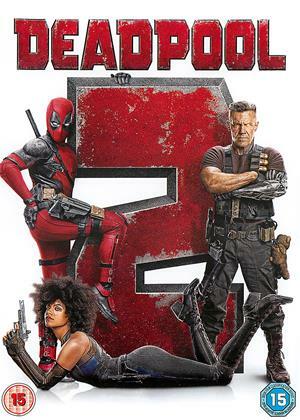 The actors all look the part, but the CGI action and is eye-rollingly boring and unengaging. A little bit of banter is mixed with a dull as dishwater storyline, that made literally pray for Christopher Nolan and Bale to come back. Doesn't matter if Bale is too old now, he's a better Batman, let's have him back. But then again, maybe I'm missing a trick. The audience they're aiming for is obviously kids or adults with the minds of small children, so by that measure I suppose this is serviceable. Similar to Batman v. Superman, Justice League is a duel of clashing forces. I’m not talking about the superheroes, but rather the battle between Zack Snyder and Joss Whedon, two screenwriters fighting for control of a DC Comics ensemble picture. 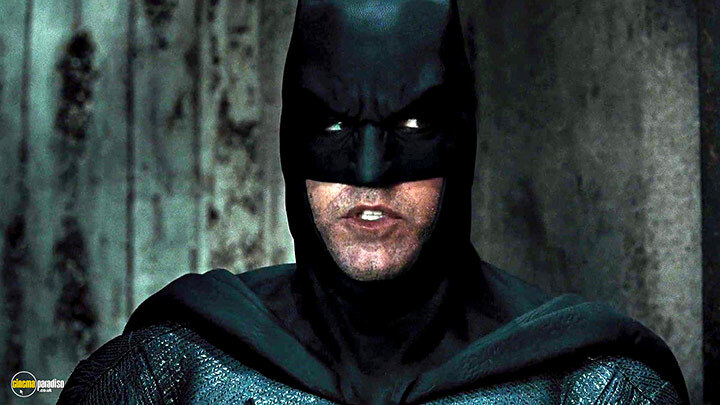 Snyder wants to continue with the dark and blunt themes he established in Batman v. Superman, while Whedon intends to inject a campy sense of superhero silliness that made his vision of Marvel’s The Avengers such a success. 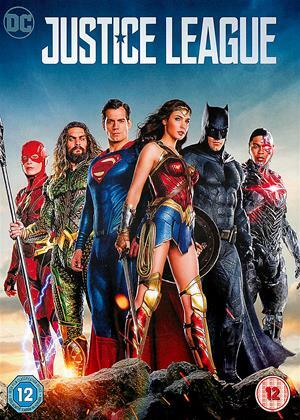 They clash significantly as the Justice League film stumbles and sputters into a troubled and somewhat pleasing adaptation of Super Friends, even if that wasn’t what the aim of the film was. If there was an aim at all. Snyder’s vision of forcing DC Comics content into his films has remained intact. 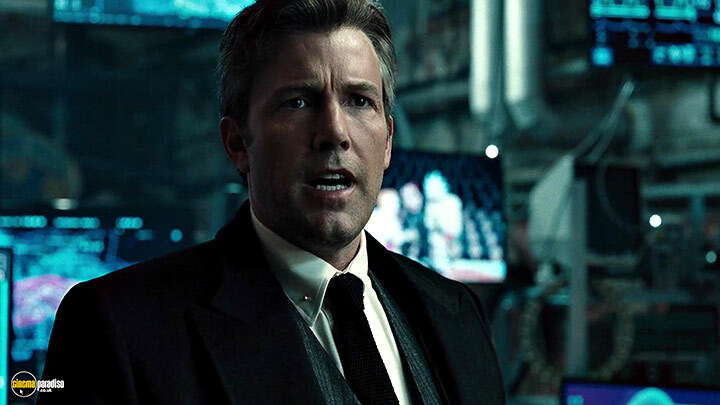 Only a few minutes into the movie, Batman (Ben Affleck) is duking it out with a Parademon and tracking clues about the mysterious MacGuffins of the otherworldly Motherboxes. Sure, we’ve seen glimpses of them in Batman v. Superman, but could we at least catch our breath with a bit of introduction? No time! The film’s villain Steppenwolf is already here, arriving in Boomtubes with more Parademons. What are Boomtubes? There’s no time to explain that! If he collects all three boxes and combines them, he’ll turn the planet into an apocalyptic wasteland for the coming of the New Gods. Who are the New Gods? That’s a time-wasting question for a two-hour movie! The Justice League needs to be assembled and quickly. 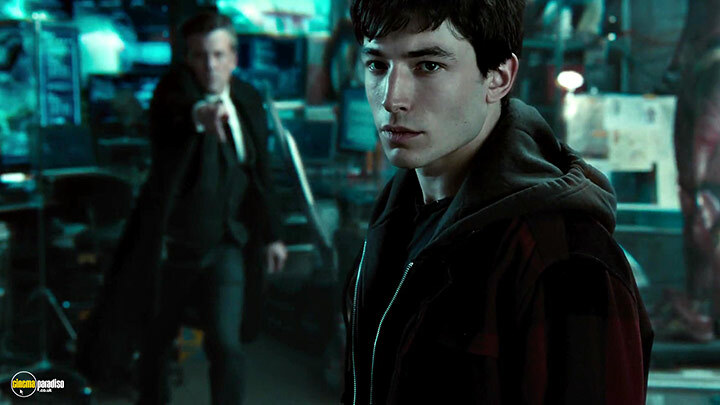 Barry Allen (Ezra Miller) has the super speed to become The Flash and the autistic need for friends to join without a shred of hesitation. 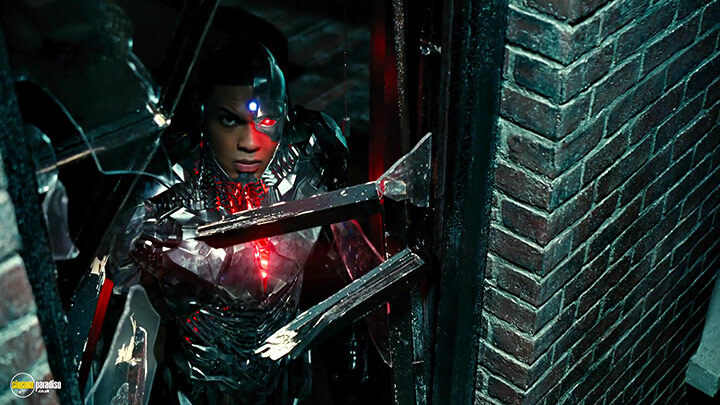 Victor Stone (Ray Fisher) already has the mostly-robotic body to become Cyborg and has limited time to come to terms with his new body and an unknown digital language. 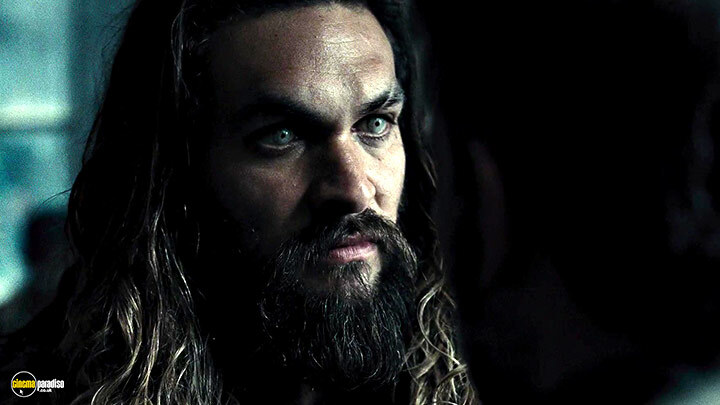 Arthur Curry (Jason Momoa) is somewhat reluctant to humanity’s plight to join up as Aquaman but seems pretty easy to win over with his frat-boy eccentricities for battle. Wonder Woman (Gal Gadot), having already had her film introduction, has been primed for centuries and more than ready to join the League, spending her spare time cleaning art and foiling terrorists. For rushing so quickly through many of the introductions, a lot of scenes lack the charismatic boost the Avengers films had from patiently building a superhero franchise. The movie is in such a rush for the big team-up that it blazes through cliches of heard-that-before speeches and silly quips ripped straight out of the Whedon superhero writing handbook. This goes double for the bland and uninteresting villain of Steppenwolf, a CGI creation of melty skin, horned armor and end-of-the-world babble so dull I’m surprised the heroes didn’t call him out for being such a snooze to hear. Where the film does work, surprisingly, is in its spirited zip for the storytelling and the abundant nuggets of teamwork. Consider the moment when the League realizes they’re going to need Superman for this big fight and need to revive him. How they do this, I will not spoil, but it’s such a ludicrous idea that it feels true to the weird logic of the comic books. Once Superman (Henry Cavill) finally joins the League, the film eventually starts to find its groove, as if the Man of Steel has finally awoken from his downer coma and become the sunnier superhero we’ve been longing for. 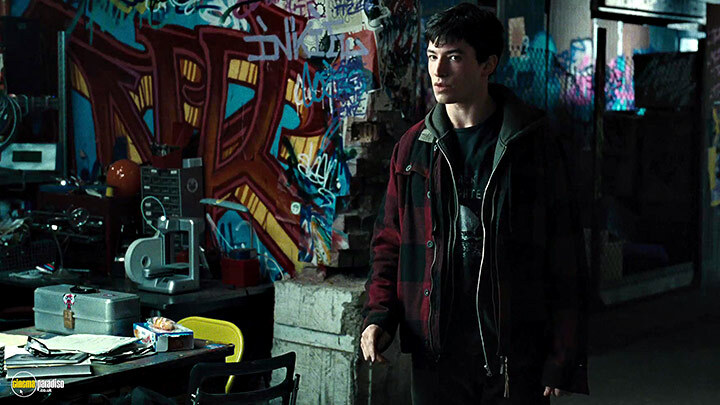 There’s a brilliant moment during the climax where Superman and Flash take to the streets of a ravaged European village to save civilians; The Flash rushes a family-filled car to safety, only to see Superman in the distance lugging an apartment’s worth. A genuine smile came across my face with the inclusion of their bet to see who is the fastest in a scene that finally earns the joy of its quipping. And when the time comes to battle Steppenwolf, there’s a twinge of giddiness I felt for watching The Flash zip around Steppenwolf while Superman uses his freeze breath to disable the villain and Wonder Woman picking up her sword to slash his weapon to pieces. 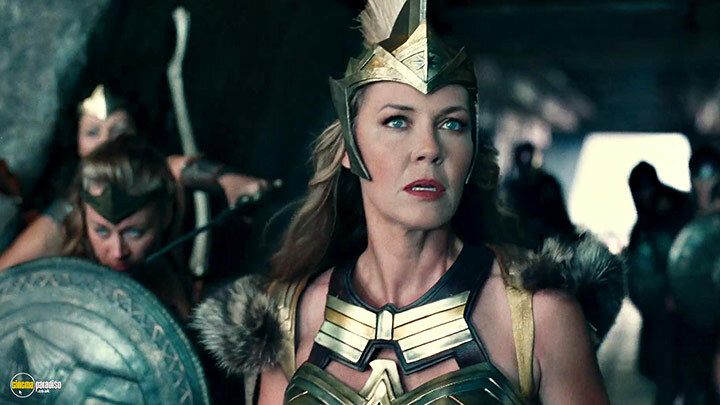 The DCEU still hasn’t found the firm footing that was more present in Wonder Woman, but there’s some hope for the future of the Justice League. 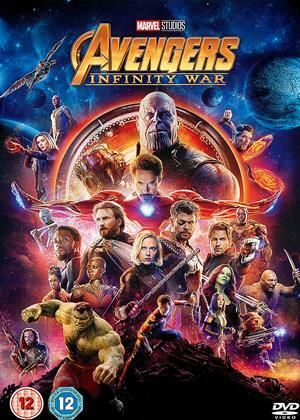 It’s still a bit clunky with character and dry with villain schemes, but it’s still pretty impressive to watch this franchise slowly pull itself out of mediocrity, edging closer to the Justice League movie I wanted. Just look at how Snyder’s handling of hero climaxes has improved: he’s moved on from hundreds of civilians being murdered in a city to the lame excuse of everyone evacuating a town, to now having heroes protect civilians from harm. It took him three whole movies, but he finally figured it out; superheroes need to be heroic and not just punch the bad guy really hard.